Going to the gym these days to exercise can be hard but with the right equipment can be manageable. Get a full body exercise in your own home with a parallel bar. 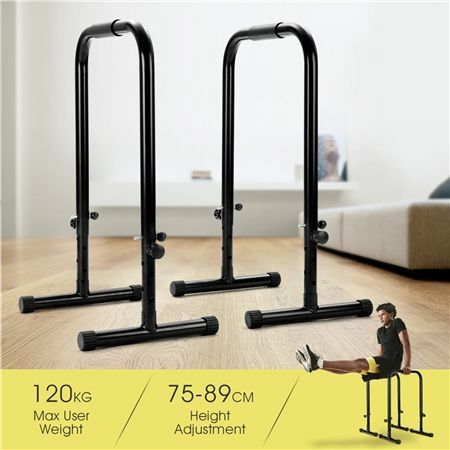 Made of heavy duty steel it will not break while you perform exercises. This bars are made for your full body exercises, so you can work on your entire body without leaving home. Train your balance, flexibility, coordination and core strength for a healthier lifestyle. Featuring a rubber fender for stability and floor protection, you can relax and exercise without damaging the floor. These parallel bars will be all you need to complete your home exercises.